These happy Zutano romper and long sleeve tee sets are a fantastic deal at Amazon right now. They are normally $47, but have been marked down between 68% and 70% to just $14-$15. These are absolutely perfect for baby gifts... especially if you are sick of baby boy clothes that are just little "man outfits" in miniature. Let's help those baby boys be comfortable! No stiff woven fabric cargo pants and button downs, please! These knits are hefty and soft, and they wash really well. My mom gave me a bunch of Zutano newborn outfits when my twins were born and I always found myself reaching for them as soon as they came out of the wash. Maybe it was the bright colors and interesting patterns? Perfect for dressing a little person when it is cold and gray outside. I tried to enlarge these images as much as possible so that you could see the prints better... they always make me smile. 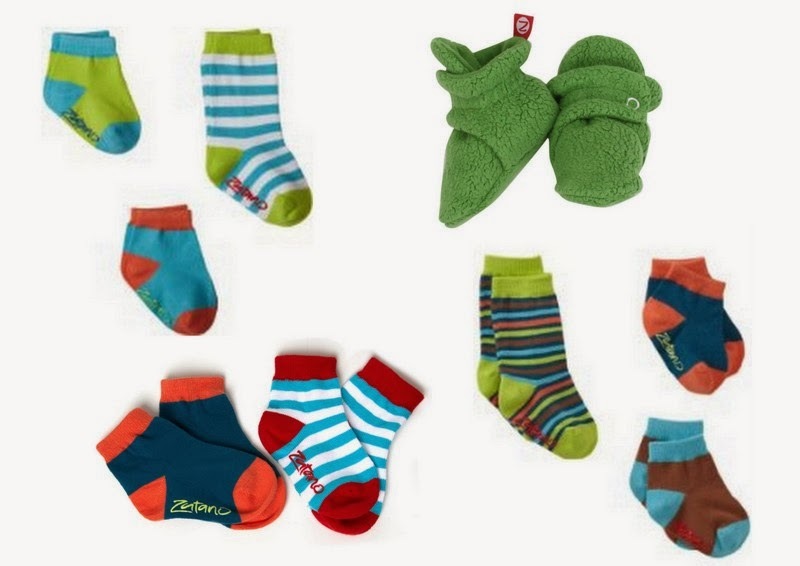 And don't forget Zutano socks and booties , many of which are also on sale at Amazon. Three cheers for warm and comfy babies!